Flushing of the engine oil system within 300 km of run. Safely cleans the oil system of the engine from all contaminations including hard-to-remove lacquer contaminations (yellow-coloured). The cleaner disperses dissolved contaminations, keeps them in a suspended state and afterwards has them removed together with the used oil. 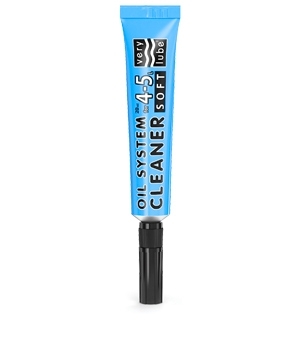 Carefully cleans the oil system of the engine from all kinds of contaminations. Restores mobility of piston rings and cleans the cylinder-piston group. Cleans the crankcase ventilation system. Drive your car for 300 km in your normal driving mode. The product is compatible with all types of oils.